Third Rock Music center was born out of change; “when one door closes, another opens”. 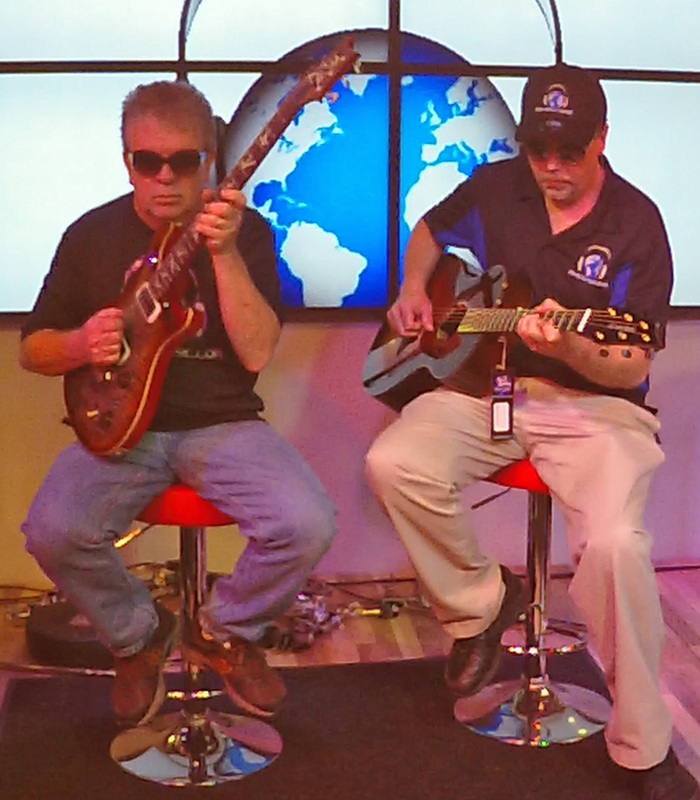 Greg Gammon and Tony Colwell had a shared vision to create the ultimate music store. This vision revolves around community. That is why it is a music CENTER, not just a store. On July 1, 2015 they started in a small office with lesson studios, maintaining support for their loyal customer base. In January 2016, they expanded to their current renovated location on Eight Mile, just off Beechmont Ave, in Anderson Township. What sets Third Rock apart is their focus on integrating with musicians, promoting local music and inspiring the next generation of music enthusiasts. As Tony said “It’s all about the experience… music stores were meant to be a place to come and hangout”. Between Greg and Tony and their expert staff, there is over 100 years of experience for customers to tap into! Pedal Day- This whole day is dedicated to pedals, pedal-boards, and how to make them work. David Gilmour Academy Guitar Clinic- Guitar instructor and performer Jon Stankorb has spent over two decades replicating the sound and style of David Gilmour – the acclaimed guitarist from Pink Floyd. “Our teachers are world class and offer many lessons to turn your musical dreams into reality.” The Third Rock instructor team consists of a talented pool of expert musicians. Whether you are a beginner or advanced, Third Rock can provide the right instructor to keep growing your skills. The list of lesson types is long, from voice and guitar to drums and saxophones. Be sure to check out their webpage for list and details. Everyone who visits Third Rock are impressed with the quality of merchandise, service and environment they find there. If you haven’t already, you should stop by, explore and hangout with the Third Rock Gang. Add some real fun to your day!